The CompactFlash slot on my computer is kaput. One of the little prongs inside actually broke off when I pulled my card out today. 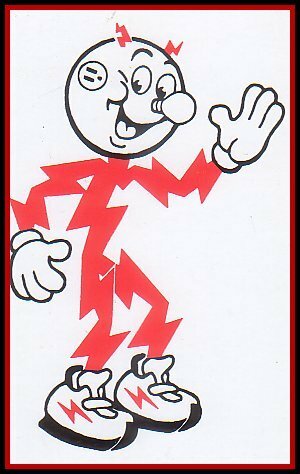 Now, I'm getting a bunch of damn Reddy Kilowatt danger messages telling me that there's a power surge on a hub port. Shite. I gave the freebie USB card reader I had to someone in need. Now, there will be no more silly photos from me (or photos for my eBay auctions) until I have procured a new card reader. For those with an interest in the grotesque (all two of you), here's a link to a more detailed story on the Cannibal Family of Rostov. I find it very interesting that Mom-chitsa can't be charged with anything now, since the Russian Criminal Code doesn't mention cannibalism. Apparently, Russia doesn't give a crap about corpse desecration. Now, don't laugh, but on my Bookshelf of Stuff That I Haven't Looked At Since 1988, I have a copy of the old RSFSR Criminal Code. Back in Ye Olde Pretentious College Days, I did my honors thesis on Soviet Russia's Criminal Code and the treatment of dissident writers. I took the position that, if we in the West accepted the legitimacy of the Soviet Union, which, legally and diplomatically we did, we gave tacit approval to the Soviet constitution, and with it, their criminal code. Therefore, I opined, we had to shut the hell up and stop whining about the treatment of dissidents, since we said the rest of their legal infrastructure was okie-dokie with us. It was a whole "Devil's Advocate" thing - the type of overwrought self-righteousness that only can be produced by a college student. I really didn't think that sending writers into Siberian exile was a good idea. 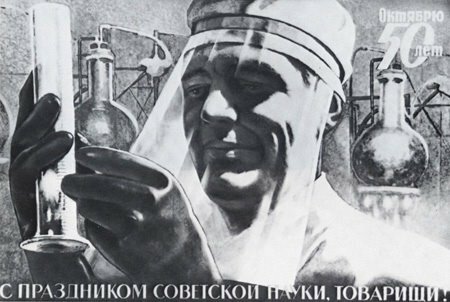 (Even the ones as obnoxious as Solzhenitsyn...) Anyway, I'll have to check and see if the Soviets had anything to say about cooking human parts with potatoes. 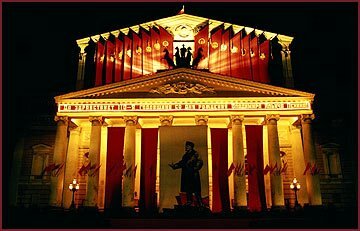 Russian theater rocks, but the Bolshoi is waaaay overrated. Culture for everyone. It was a beautiful thing. This post made me want to go out for dinner and a show. I haven't had steak in a while... Old Ebbitt, anyone? Heh heh heh... you're sick and twisted in just the right way. I love it! I should have titled this post "My Dinner of Andre." Speaking of Mother Russia, did you see today's news? Dang...need to remember to "tinyurl" [verb] everything.